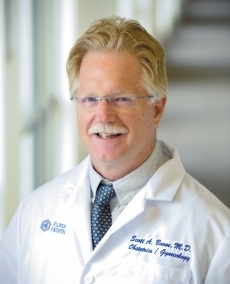 Scott Boone, MD, is part of AdventHealth Medical Group's academic OB-GYN practice at Loch Haven. He earned his medical degree on a full academic scholarship from the University of North Carolina at Chapel Hill and completed his residency in obstetrics and gynecology at the University of Florida-Jacksonville. Prior to his training in Jacksonville, Dr. Boone undertook residency training in family practice at the University of South Carolina. Dr. Boone has previously served as a Chief Investigator for SE Clinical Research, involving multiple studies in the field of OB-GYN. He has also served as the OB-GYN department head of AdventHealth hospitals in Florida. Dr. Boone specializes in gynecologic ultrasound, hormonal therapy, difficult laparoscopic procedures and high-risk pregnancies. I spend as much time as possible educating patients on ways to improve their health.